For over 100 years, Philadelphia has been a center of American boxing. 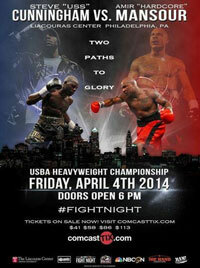 The city has played host to some of the nation's top fighters and biggest boxing events. Even most casual boxing fans should be familiar with the names of great Philly fighters such as Tommy Loughran, Midget Wolgast, Johnny Jadick, Bob Montgomery, Harold Johnson, Joey Giardello, Joe Frazier, Bennie Briscoe, Matthew Saad Muhammad, Jeff Chandler, Tim Witherspoon, Meldrick Taylor, Bernard Hopkins, Steve Cunningham and Danny Garcia. These fighters are just a few of the big names to come out of the "Fighting City of Philadelphia." Venues such as the Washington Sporting Club, Shibe Park, Sesquicentennial Stadium (AKA Municipal Stadium), Convention Hall, and the Spectrum all played host to boxing royalty including Jack Johnson, Mickey Walker, Lew Tendler, Jack Dempsey, Gene Tunney, Joe Louis, Ike Williams, Sugar Ray Robinson, Kid Gavilan, Jersey Joe Walcott and Rocky Marciano. 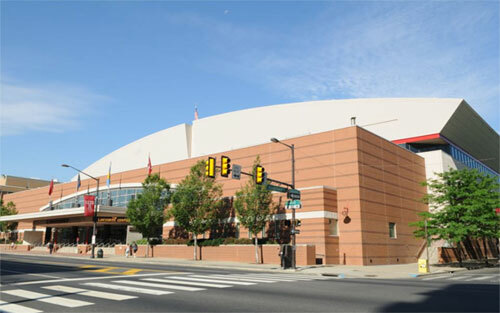 Venues such as the 2300 Arena, SugarHouse Casino, the Fillmore Philadelphia and Liacouras Center have hosted a resurgence of Philadelphia boxing shows in recent years. This Saturday, April 28th marks the return of professional boxing to the Liacouras Center on the campus of Temple University in North Philadelphia. The Liacouras Center, the home of Temple Owls Basketball, was opened in 1997 as The Apollo of Temple. The 10,200-seat arena was later renamed in 2000 in honor of Temple president, Peter J. Liacouras. Along with hosting hundreds of college basketball games, the venue has also played host to concerts, professional wrestling, political rallies, a Philadelphia 76ers exhibition game, and boxing. 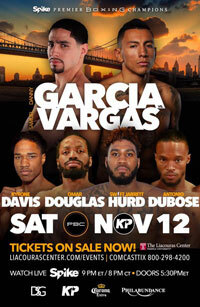 This weekend's nine bout boxing card is headlined by a super bantamweight title fight between Jessie Magdaleno (25-0, 18 KOs) and Isaac Dogboe (18-0, 12 KOs), and features a number of popular Philadelphia area fighters including, Joey Dawejko, Bryant Jennings, Jesse Hart, Christian Carto, Joseph Adorno, and Marcel Rivers. Three fights on the card will air on ESPN. Temple University alumni and International Boxing Hall of Famer, J Russell Peltz, of Peltz Boxing Promotions, worked with fellow International Boxing Hall of Famer and CEO of Top Rank, Bob Arum, to bring this historic night of boxing to Philadelphia. In honor of this weekend's Top Rank/ESPN boxing show from the Liacouras Center, we will take a look back at the venue's recent boxing history that began in 1998. The only boxing card that was held at the Liacouras Center when it was still known as The Apollo of Temple was held on June 27, 1998. This eight bout card featured a main event in which North Philly Olympic Gold Medalist David Reid fought in his hometown for the first and only time as a professional when he met former world champion Simon Brown in the scheduled ten round main event Reid stopped Brown in round four, and went on to win the WBA world junior middleweight title just two fights later. The man who stopped the fight and raised Reid's hand in victory was fellow Philadelphian, referee Frank Cappuccino. In the co-feature bout, IBF lightweight champion Shane Mosley knocked out Wilfredo Ruiz in round five of a scheduled twelve to defend his title for the fourth time. 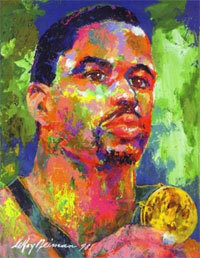 This was Mosley's only appearance in Philadelphia over the course of a professional career that spanned 23 years. Also, popular Philadelphia lightweight, Chucky T (Tschorniawsky) fought on the undercard, and defeated Joseph Figueroa by split decision in a six round contest. The two feature bouts were broadcast by FX, in their inaugural boxing telecast. 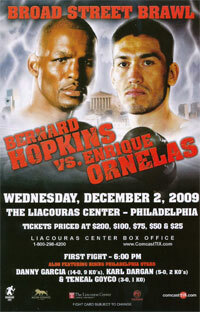 In what was billed as the "Broad Street Brawl", light heavyweights, Bernard Hopkins and Enrique Ornelas headlined a seven bout boxing card that opened up the Liacouras Center for professional boxing. The 44-year-old veteran fighter from Philadelphia swept the twelve round showdown, and easily won by unanimous decision over Ornelas. 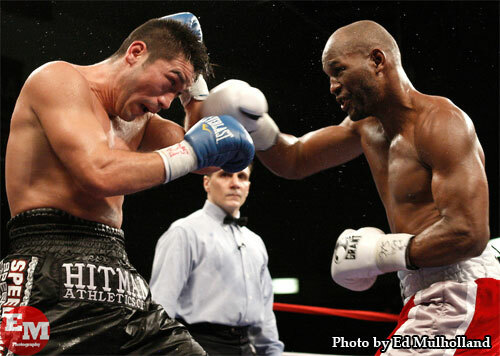 This victory enabled Hopkins to get his long sought after rematch against Roy Jones Jr. on April 3, 2010. The Golden Boy Promotions' card also featured future boxing world champions, Danny Garcia and Jessie Vargas. Garcia squared off against veteran fighter, Enrique Colin, in a ten round bout for the vacant World Boxing Council Youth Intercontinental Super Lightweight Title. Garcia dominated this match up, and won by a second round knockout. In a six round bout, Jessie Vargas battered Travis Hartman with hard body shots that sent him down to the canvas in the first and second rounds. Vargas won his seventh straight professional bout that night by TKO at the 2:31 mark of the second round. Philadelphia heavyweights, Steve Cunningham and Amir Mansour clashed in the main event of the second professional boxing card at the Liacouras Center. This seven bout card, promoted by Peltz Boxing Promotions and Main Events, featured a number of popular fighters from outside of the greater Philadelphia area, including Curtis Stevens, Edner Cherry, Sullivan Barrera and Mike Lee. 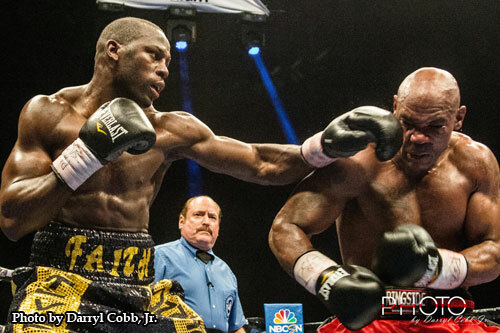 In the main event, which aired on NBC Sports Network, Cunningham and Mansour battled over the course of ten rounds for Mansour's USBA Heavyweight Title. 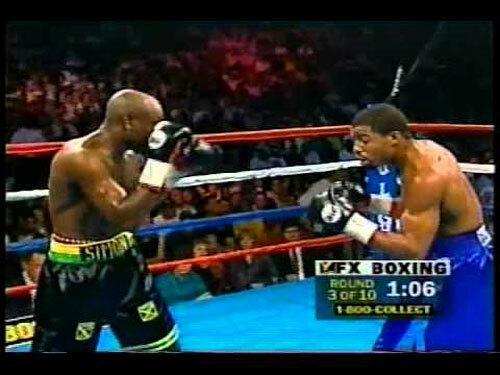 During the bout, both men were knocked down, Cunningham twice in the fifth round and Mansour once in the tenth round. Cunningham won by unanimous decision by scores of 95-92 twice and 97-90. The referee for this bout was Steve Smoger, a fixture in the Pennsylvania and New Jersey boxing scenes. Al Haymon's Premier Boxing Champions (PBC) teamed up with Marshall Kauffman's King's Promotions to bring a nine bout card to the Liacouras Center on November 12, 2016. This card, which aired on Spike TV, featured nine professional bouts. 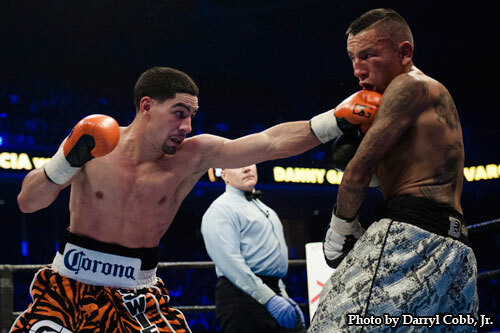 The ten round main event in the welterweight division, pitted Philadelphia fan favorite, Danny Garcia against Samuel Vargas. Vargas, a Colombian who now lives and trains in Toronto, had a staple of the Philadelphia boxing scene in his corner, trainer Billy Briscoe. Despite fighting valiantly, that was not Vargas' night, as he succumbed to a seventh round technical knockout at the hands of the hometown fighter. The undercard of the bout was also jam packed with talented young fighters. 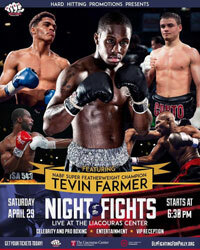 Javier Fortuna won a close unanimous decision victory over Wilmington, Delaware's Omar Douglas. Maryland's Jarrett Hurd, who has risen to prominence in the super welterweight division over the last two years, defeated Ionut Dan Ion via a sixth round technical knockout. Philadelphia boxing prospects, Christian Carto and Thomas Velasquez also walked away from the ring winners that night. Leading up to this Saturday's card, the most recent promoter to use the Liacouras Center was Philadelphia based Hard Hitting Promotions. This five bout card was presented in conjunction with a night of entertainment in support of Philadelphia's Urban League. The card was loaded with Philadelphia area fighters, including Tevin Farmer, Christian Carto, Samuel Teah, David Murray and Branden Pizarro. 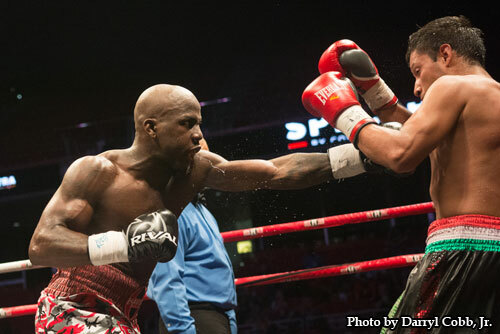 All five men won their respective bouts, including Tevin Farmer, who defeated Arturo Santos Reyes by ten round unanimous decision, despite suffering a torn biceps muscle in the second round of the fight.